Reeder for iPhone went free last week and today it received its anticipated update to support Feedly and Feed Wrangler, after the demise of Google Reader. The update notes existing Google Reader accounts within the app won’t be deleted in this update. 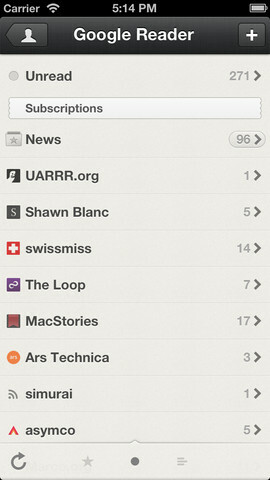 Google Reader has been removed from the service list, but Reeder won’t delete existing accounts in the app. So far, Digg Reader on the web has replicated the ‘look’ of Google Reader the best, however Feedly provides more features. What’s your RSS reader of choice right now? Click here to download Reeder–it’s free.